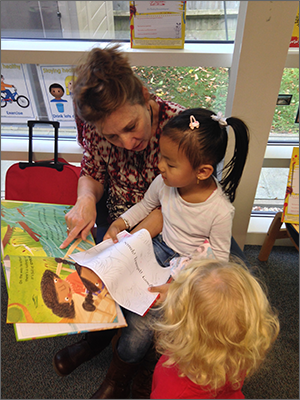 Partner charity Reading Force, which runs reading projects in Army garrison areas, launches a new initiative for nursery schools, funded by The Soldiers’ Charity. ABF The Soldiers’ Charity has a well-established and substantial grants programme of support to charities and organisations that provide lifetime support to soldiers, veterans and their immediate families. We will normally fund up to 100 charities in a given year which deliver support on behalf of the Army and ourselves. In order to ensure that any grant given supports the Army Family, our charity has established guidelines for applicant charities and organisations. In particular, preference is given to charities and organisations which are members of the Confederation of Service Charities (Cobseo) or Veterans Scotland. Please read the guidelines as they will help you in establishing your eligibility and in making your application the best it can be to ensure success. View our application guidelines here. If, after reading our guidelines you believe you are eligible to make an application, please use the application form here to make your application. The main Grants Committee sits three times a year in February, June and October, with the Scottish Committee (dealing with requests for activities and charities/organisations based solely in Scotland) being held in April. Applications received for the main Grants Committee from organisations that have not applied to the Charity within the last two years, and who are requesting grants of over £35,000, will only be considered at the February Grants Committee. Between 1st January 2019 and 1st March 2019 for the April meeting of the Scottish Committee. Between 1st March 2019 and 3rd May 2019 for the June meeting of the Main Grants Committee. Between 1st July 2019 and 20th September 2019 for the October meeting of the Main Grants Committee. Between 2nd December 2019 and 17th January 2020 for the February meeting of the Main Grants Committee. We hope to turn applications around within 12-16 weeks of receipt, with payments being made by BACS. Significant, new or novel grant requests will always be presented to a Trustee meeting which normally occurs within 3 weeks of the Grants Committee sitting. Our Grants Committee is always oversubscribed and it should not be assumed that an application being submitted will result in a grant being awarded. If the Grants Committee does award a grant, it is unlikely that they will cover the full costs of a project. All grant awards will be subject to our Terms and Conditions document which can be found here. As part of our governance procedures, charities and organisations awarded a significant grant will be asked to complete our Outcomes Report. You can download a copy of the Report here.